Over the past half century, we’ve blasted a bevy of scientific instruments into the unforgiving vacuum of space in an effort to better understand our cosmos. From the first grainy Mariner images of Mars to stunning closeups of Saturn’s moons and stately rings, these pioneering probes have transmitted invaluable data back to us Earthlings from millions of miles away. And while we may have recently lost the stalwart Saturnian orbiter, Cassini, there are dozens of future space missions on the docket for the next decade. To help you keep track of all these efforts, we’ve listed the most important and exciting missions slated to launch over the next ten years — as well as a few notable flybys performed by spacecraft already in cosmic transit. With a great bit of luck, a boatload of money, and pinch of can-do spirit; these initiatives will further pull back the curtain on our quirky and wonderfully mysterious universe. 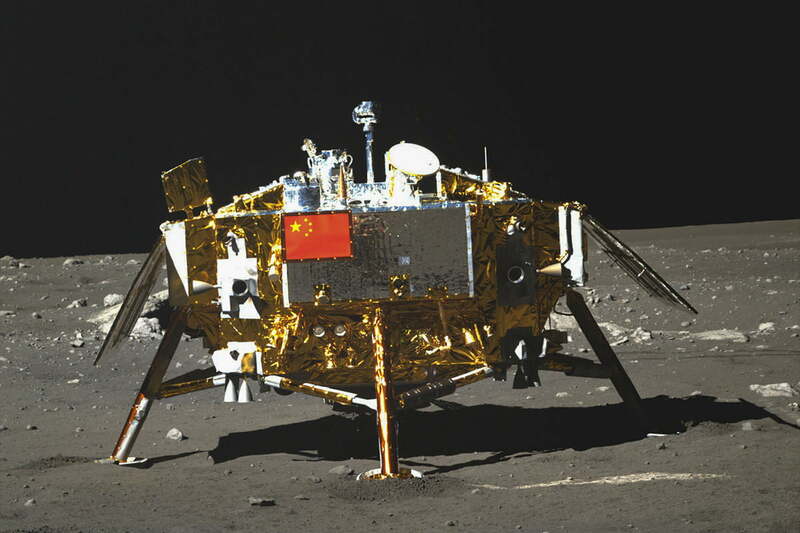 The Chinese National Space Administration (CNSA) will launch the Chang’e 5 mission to the moon later this year. This is a lunar sample return mission set to land in the Mons Rümker formation and collect a sample of regolith from a depth of roughly six feet. Once excavated and transferred to a module in orbit, these samples will be returned to Earth for analysis. 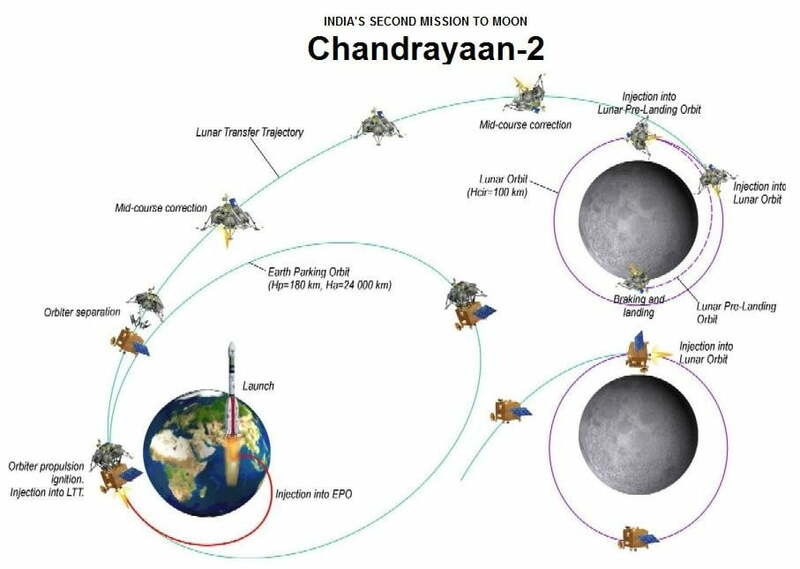 The Chandrayaan-2 mission is a joint research and exploration program between The Indian Space Research Organization (ISRO) and Russia’s Federal Space Agency (Roscosmos). This program will send two rovers and a lunar orbiter to the moon to analyze mineral composition and study the moon’s exosphere. 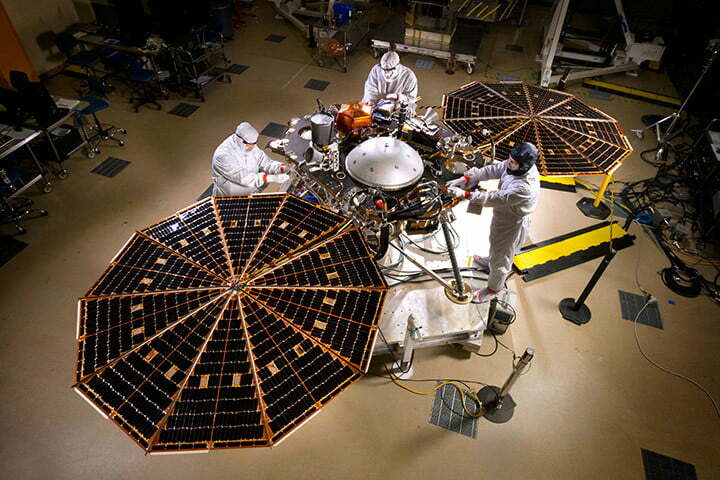 Utilizing a custom-built lander, the InSight (Interior Exploration using Seismic Investigations, Geodesy and Heat Transport) program will analyze the interior of the Red Planet to better understand the processes that shaped the inner planets of our solar system billions of years ago. Hayabusa 1 after landing on an asteroid. Japan Aerospace Exploration Agency. 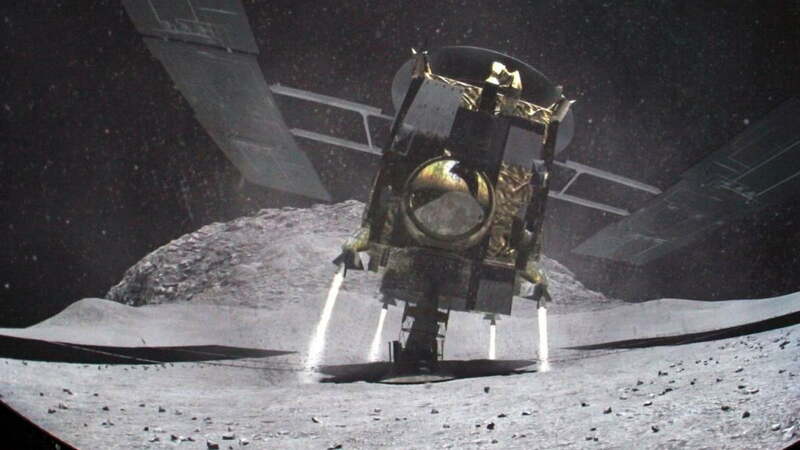 Hayabusa 1 after landing on an asteroid. 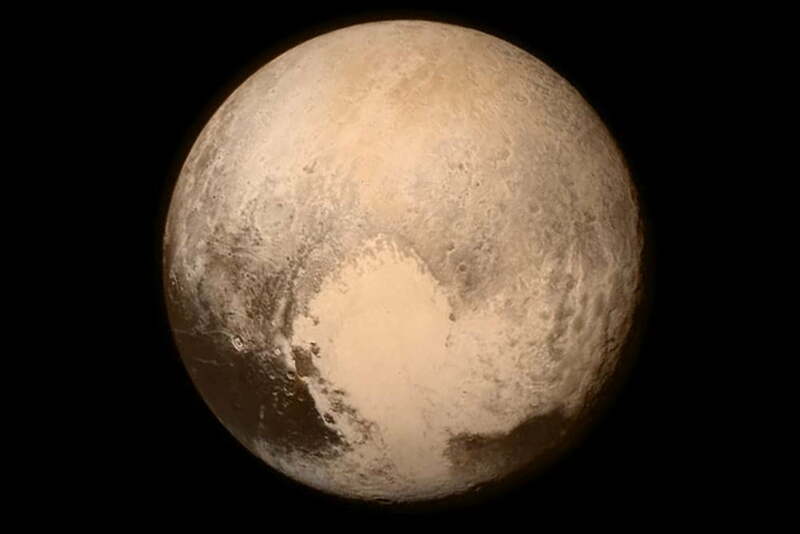 Photo credit: Japan Aerospace Exploration Agency. 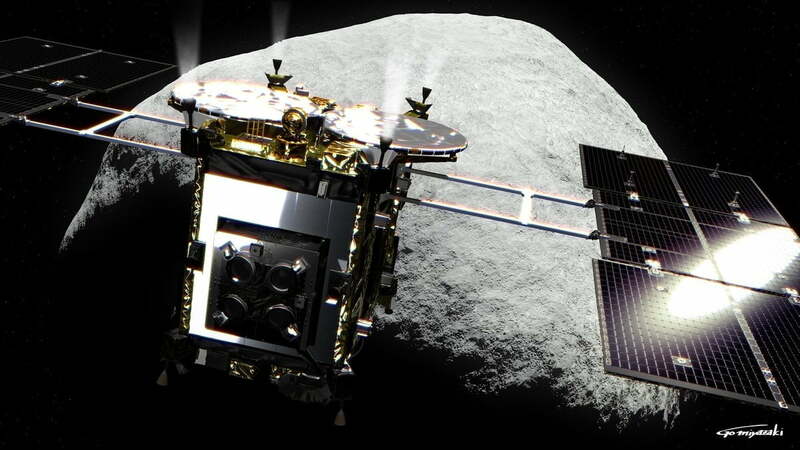 The Japanese Space Agency (JAXA) Hayabusa-2 mission was launched in 2014, and in mid-2018 the craft will rendezvous with asteroid Ryugu (1999 JU3) and return a sample to Earth. Unlike the previous Hayabusa mission, Hayabusa-2 will utilize an impactor to create a crater and expose “fresh” sediments beneath the surface. These samples will be returned to Earth in late 2020. 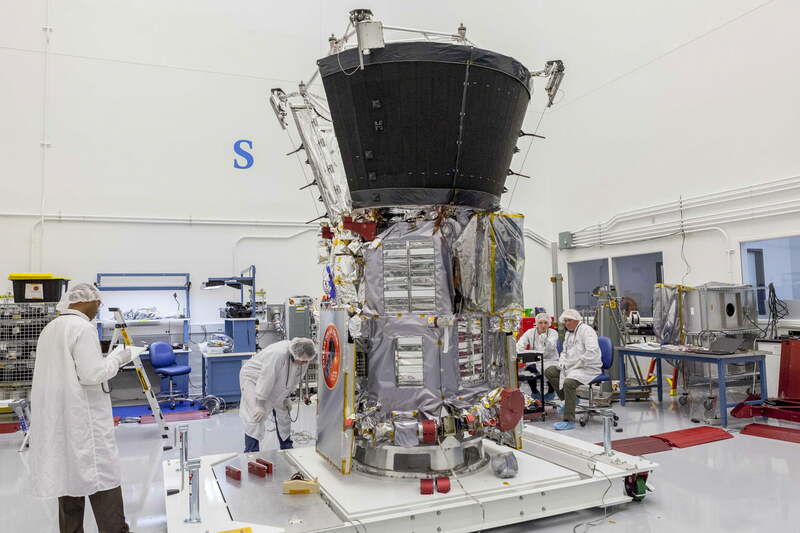 Parker Solar Probe undergoing Completes Pre-Environmental Testing Review. NASA/JHUAPL. Parker Solar Probe undergoing Completes Pre-Environmental Testing Review. Photo credit: NASA/JHUAPL. The so-called “Mission to Touch the Sun” or the Parker Solar Probe program will send a craft to within a mere four million miles of the sun’s surface. This proximity to our star will give the probe unprecedented data on solar activity, allowing us to more aptly forecast potentially catastrophic space weather events in the future. 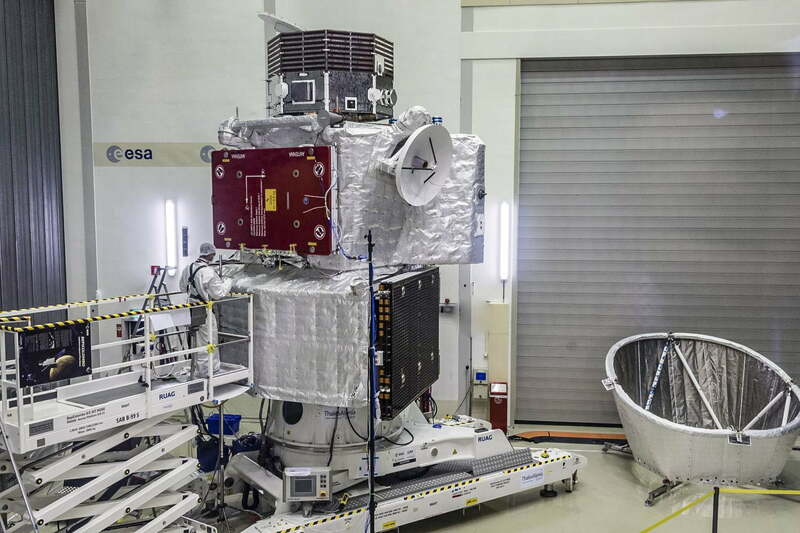 BepiColombo at full stack after testing. Photo credit: ESA–C. Carreau. 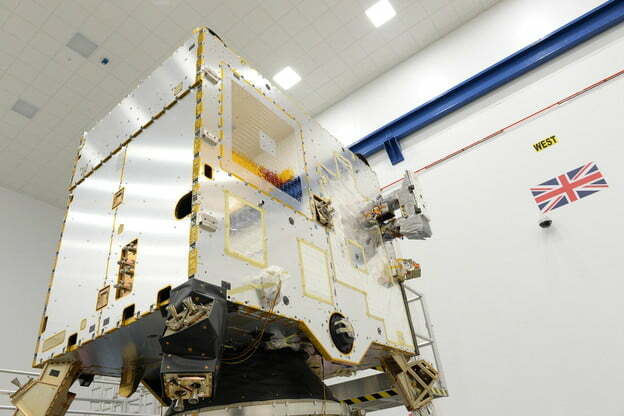 BepiColombo will be the European Space Agency’s first mission to Mercury. The mission itself is comprised of two orbiters: the Mercury Planetary Orbiter (MPO) and the Mercury Magnetospheric Orbiter (MMO). These craft have been designed to withstand temperatures greater than 660 degrees Fahrenheit and will arrive at Mercury in late-2025. Structural and thermal model (STM) of the Solar Orbiter. ESA. Currently slated for the end of 2018, the Chang’e 4 mission — a Chinese National Space Administration (CNSA) endeavor — will place a lander on the far side of the moon. The South Pole Aitken Basin (one of the largest impact basins in our solar system) has been mentioned as a potential landing spot. The aforementioned Hayabusa-2 spacecraft is projected to arrive at asteroid 1999 JU3, also called “Ryugu,” in 2018. On New Year’s Day 2019, the New Horizons craft will make a fly by of Kuiper Belt Object (KBO) 2014 MU69 as part of the New Horizons Extended Mission. 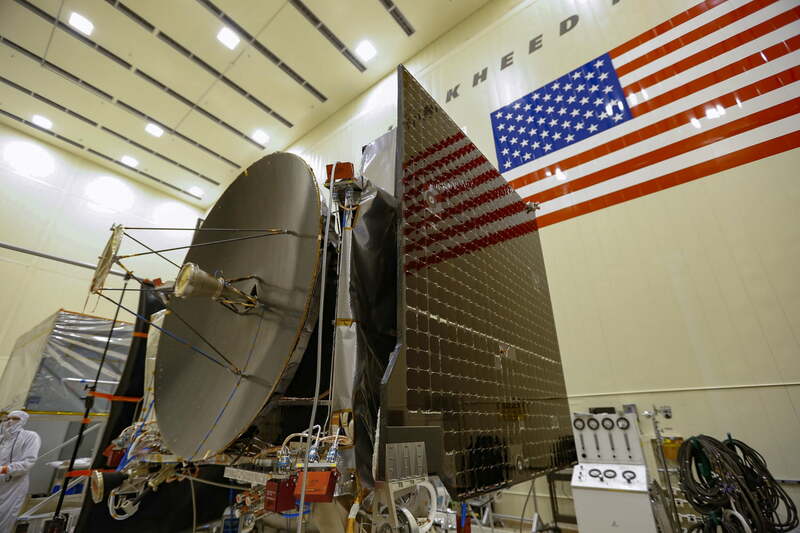 OSIRIS-REx launched in September 2016, and in October 2019 the craft will rendezvous with the asteroid 101955 Bennu to collect samples. The return cruise containing this payload will reenter Earth’s atmosphere in September 2023. More of Hubble’s successor than full-on replacement, the James Webb Space Telescope — equipped with a with a 6.5-meter primary mirror — will be launched from French Guiana in early 2019 (although this date could be pushed back). 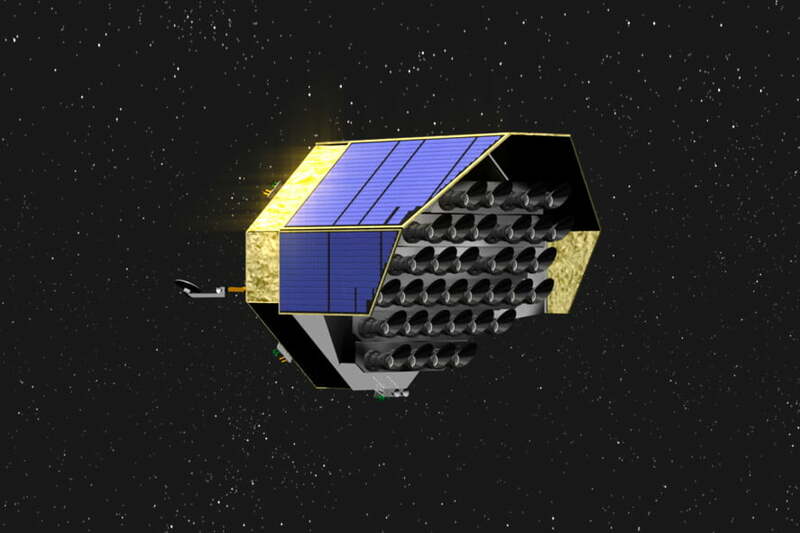 One of the onboard instruments has multiple programmable microshutters that the telescope to monitor up to 100 objects at once. As best illustrated by the recent Schiaparelli lander incident, even after meticulous planning and successful Earth exit, dire mishaps can still occur while faring the final frontier. The ESA hopes to avoid this same tragic fate with the ExoMars 2020 follow-up program. 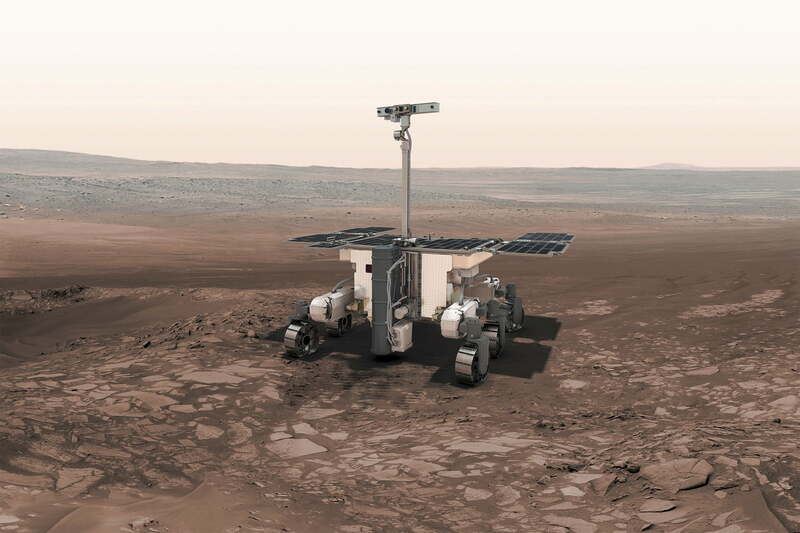 The ExoMars mission will send a European rover as well as a Russian “surface platform” to the Red Planet. After a nine month journey to Mars, the ExoMars rover will traverse Martian surface looking for evidence of life. The vehicle will be equipped with a drill capable of boring up to two meters into the Martian soil. The onboard laboratory will test these samples and identify organic substances. The JUICE mission — a jumbled acronym meaning JUpiter ICy moons Explorer — will arrive at Jupiter in 2030. 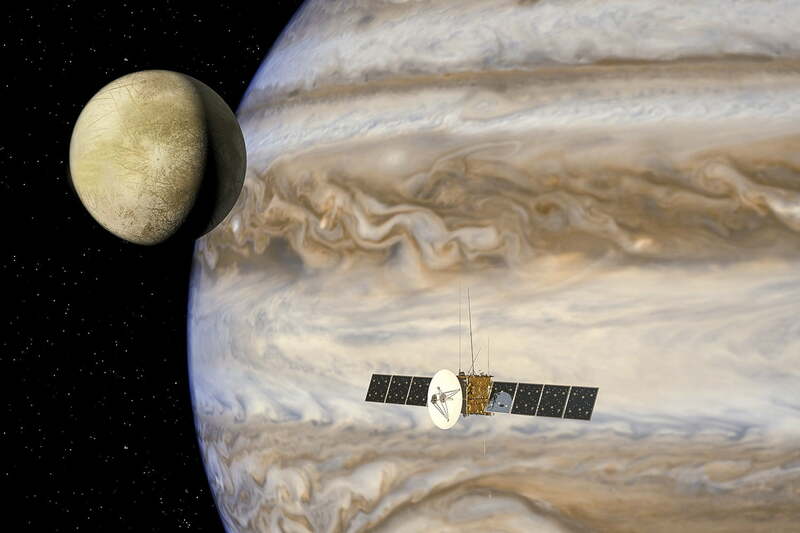 The craft will spend three years studying the gas giant and its three largest moons: Ganymede, Callisto and Europa. 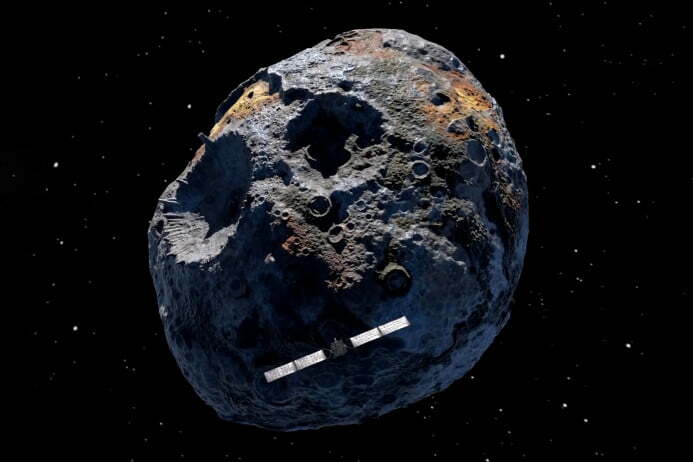 Tentatively scheduled to launch at some point in 2022, the Psyche mission will study the metal asteroid of the same name orbiting in the asteroid belt between Mars and Jupiter. It’s believed that Psyche may actually be the exposed nickel-iron core of an early planet. Studying this potential planetary core could give us better understanding about how terrestrial planets formed. 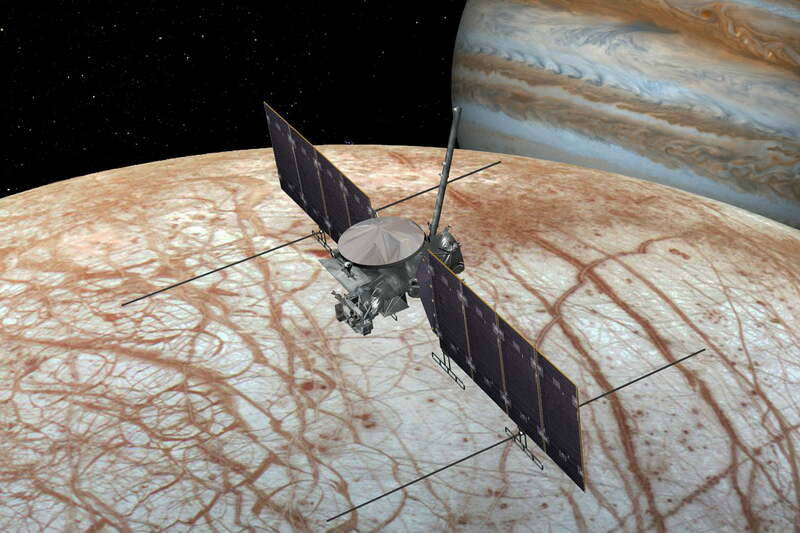 The Europa Clipper mission will place a spacecraft in orbit around the gas giant Jupiter to search for evidence of life on the nearby moon Europa. 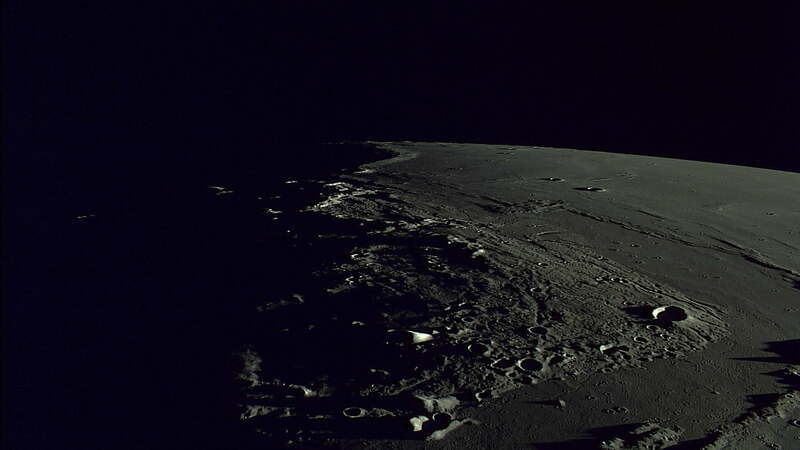 The craft will make repeated flybys (up to 45 total) of the icy moon to investigate the surface and interior structure of this ocean world. Planetary Transits and Oscillations (PLATO) is a photometric monitoring mission with a payload of 24 cameras designed to detect terrestrial exoplanets orbiting bright solar-type stars. PLATO will specifically search for exoplanets orbiting within the so-called Goldilocks Zone, –or more formally, the habitable zone— in nearby star systems. PLATO will have an operational lifetime of about six years. And, well, if we’re setting our calendars, go ahead and pencil in the Pioneer 11 probe (and its infamous plaque) — launched in 1973 — for a flyby of the star Lambda Aquila in about four million years — a relative drop in the cosmic bucket.